Life, it’s literally all we have, but is it any good? I feel like I’m watching something that’s going to be transcendent. What it is exactly, I don’t know. Comedy Central’s Review is so original and so absurd it makes me want to go out and review life itself, just like the show’s host, Forrest MacNeil (Andrew Daly). Of course, MacNeil is just a character played by Andrew Daly, but the way his character infuses passion and commitment into hosting the show, doing whatever is necessary to review life, no matter what, is just too good not to watch. Want to know what it’s like to be addicted to cocaine? MacNeil will fully commit to it, and then give it a five-star grade of his choosing. Want to know what it’s like to be a racist? Well, no not personally, but MacNeil will commit to it because his fans asked for it. Probably the greatest example of MacNeil’s commitment to his show is in episode three when he’s asked what it would be like to get a divorce. Guess what he does: he gets a divorce. It’s literally the most amazing thing I have seen on television in 2014 thus far. Review is nothing without Andrew Daly. His performance is hilarious and often poignant. There are times when you can’t believe the show is going through with certain “life experiences” until you step back and realize that Forrest MacNeil isn’t real and what he’s doing isn’t real. 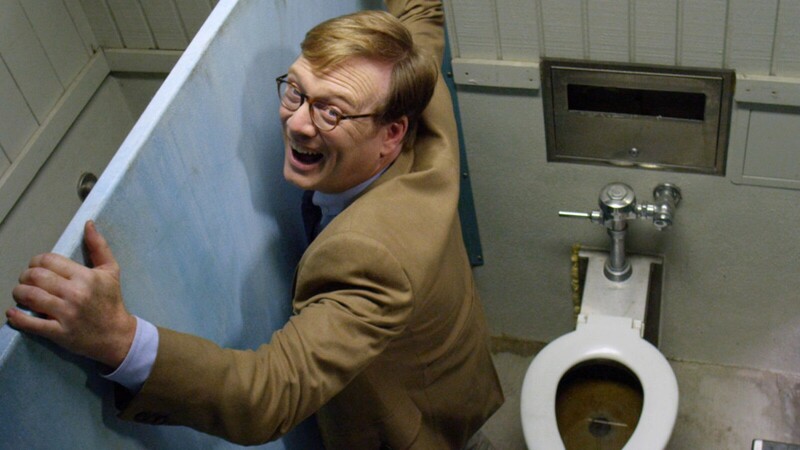 But it doesn’t matter, because the commitment the character of Forrest MacNeil has as host of the show, is enthralling and sometimes frightening. Life is literally all we have, so why not let Forrest MacNeil show us the way? Why not witness a man eat 15 pancakes, get divorced, then soon after eat 30 more pancakes with the determination of a lion. He vomits in both cases, but the experience of watching it happen and the reasoning behind the ratings are what make Review such a revelation. It’s a must watch for anyone who wants to live life vicariously through another person. How To Get The Best Body Image? Easier Said Than Done.